Alan Dedicoat - aka Deadly for any TOGs reading this - the voice of BBC Radio 2, completes his last news-reading shift this Friday. His is the voice of the daytime bulletins, delivered with such clarity and assurance. He’s also the first voice you hear when that emergency tape kicks in, an increasingly common experience of late. But after 28 years with the station Alan is, as they inevitably say, ‘hanging up his headphones’. At least as far as Radio 2 is concerned that is. His ‘Voice of the Balls’, Strictly and Children in Need work continues as before. 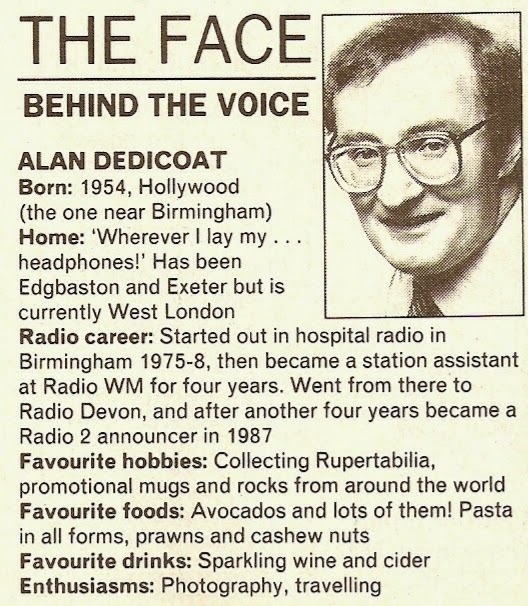 Alan joined the station in 1987 from BBC local radio, Birmingham (later WM) and then Devon, as a newsreader and continuity announcer. Back then newsreaders were also expected to take a turn on some of Radio 2’s music shows such as Nightride and The Early Show. 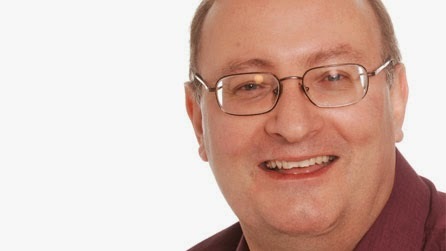 As the presenting and continuity work was phased out Alan would become the station’s senior newsreader but continued to provide some of the pre-recorded station links and announcements. In late 2012 a number of long-serving newsreaders left Radio 2 and Alan became the last survivor of the old-school newsreader/announcers. In this montage you’ll hear Alan reading the news, providing station information, hosting The Early Show, enjoying some banter with Terry Wogan and Paul Walters and confessing all (well not quite) on Simon Mayo Drivetime.